Your complimentary consultation - I meet with you personally in my office or by telephone to help you design your perfect ceremony. Travel to your wedding site (within a 50 mile radius of the Atlanta area). Arrival at your site 30 minutes in advance of your ceremony time. I will spend a few minutes with you in private before the ceremony to calm any nerves and help you to feel relaxed and at ease. We can quickly go over any last minute questions or concerns. Performance of your unique Wedding Ceremony. 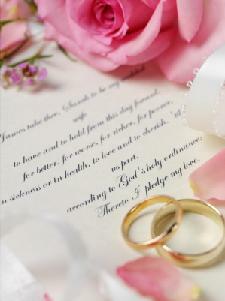 You will receive a copy of your Wedding Ceremony & Vows. Official signing of your Marriage License, and if you desire, mailing it to the appropriate official location. 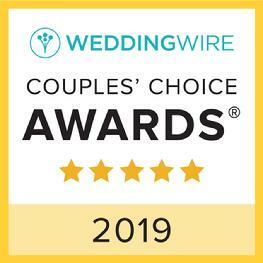 I look forward to helping you create the wedding ceremony of your dreams! The officiant fee for these services is $300 for Friday, Saturday or Sunday weddings, $250 all other days of the week. You may pay this fee in full at your initial consultation; or you may pay one-half at the consultation as a deposit to save the date, with the remaining one-half due at the conclusion of your ceremony. (Please note the deposit is non-refundable; it reserves your ceremony date and time on my calendar, assuring it is held just for you. Should you need to reschedule to another date, there is no change-date fee.) Any readings, candle, sand or other unity ceremonies are included in the fee. Attendance at a rehearsal is an additional $125. Fees are payable by cash, check or Visa/MC or by PayPal on my website. Are you looking for a short & sweet standard ceremony? I offer simple weddings in my home starting at $150 or at near-by McDaniel Farm Park or Sims Lake Park for $195. This includes your choice of a civil, religious or personal ceremony. (*Short and Sweet Ceremonies do not include an initial consultation or personalized ceremony design). In the State of Georgia, there is no longer any requirement for witnesses; therefore, I have the ability to perform the ceremony for just the two of you; or if you would like, a few friends or family members can attend as well. This is a bit more personalized than City Hall or the County Courthouse. At times, I am available on very short notice when you just can't wait to tie the knot! Please see the next pages for more information on all our ceremony locations.